In order to facilitate migration from other outliners, you should allow the importing of the Notes field inthe OPML files. Currently the OPML import works well but only includes the text in the [OutlineText] tag. Please allow the importing of the [Notes] tag in the OPML file. This will help you bring more adopters that have hundreds of items in other less powerful outliners that don't want to retype their stuff again. Move the Send button for emails, to the top right corner on email window. When its a single mail we reply to it makes sense, the current placement of the send button. When its a chain mail, argh its very annoying to scroll down till I find the send button. Sometime it by mistake goes back to the response field then I have to scroll back down. This is the only time I open gmail to respond to mails, else everything is a single window operation. Please please make this change. I recently started using Moo.Do to plan out my projects but I would like to be able to mark certain headers to signify that they are not currently active while reducing the visual clutter of my project organization. 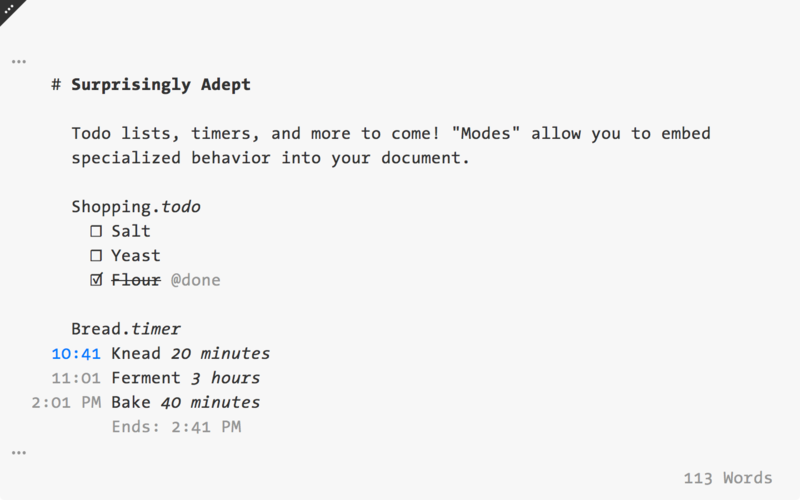 To bring tasks into Moo.do easily and automatically. Some of us use CRM or other task applications at work. Not desirable to maintain two different task apps. Automatically bringing those tasks into Moo.do and ideally update them in the other app when completed would be really great. I know I can filter by priority but it would be nice to be able to sort a project or sub-project by Priority too. Then I could see how my list is stacking up. I would see there being a context menu item to sort children by priority (maybe just immediate children or perhaps all children). Make it REALLY CLEAR wether data is saved to web or locally. I like to use moo.do to plan my weeks with the agenda, but oftentimes I don't know exactly when I'll be able to fit things in, so I use the @soon date a lot. I vote that you build in a timer, because I noticed that you already calculate duration. Be notified on mobile when new emails are received. Ideally with an option to receive the notifications at a predefined time. Today I ran into the problem of wanting to write an email and continue doing so on another device. I closed the email, thinking that there will be an option to either save or discard the writing. Moo.do took that decision out of my hands and deleted everything I had already written, without warning. Some emails I write have large code snippets in them and trying to format that email to be readable in the current pinned window is impossiable. I experienced this behaviour on iPhone and iPad, latest updates. I searched moo.do quite a app and anticipate use in China. but China don't support Google visit. Any suggestions on registration and use in China. Please add possibility to filter out any future events with the precision of minutes. The results would then show anything that was due before the current hour and minute and would update automatically. My use case is that I usually plan certain events for certain times, so I want them to stay hidden while they are irrelevant but when their time comes I want them to appear automatically. Give the ability to pin some favorite notes on the sidebar for quick access. Right now we have expand/collapse (top level) and expand/collapse recursively (every level, which gets messy), it would be great if we can expand everything at say, 2 levels down, or 3, by a shortcut like maybe shift+control+2, shift+control+3. I keep a project named "books", under that is different categories of books, "self help", "entertainment", etc. Under that is actual names of the books. Under the names is notes for the specific books. It will be great if I can expand everything up to level 3, where I just get a list of book names I'm reading, or level 2, where i can see just all my categories.